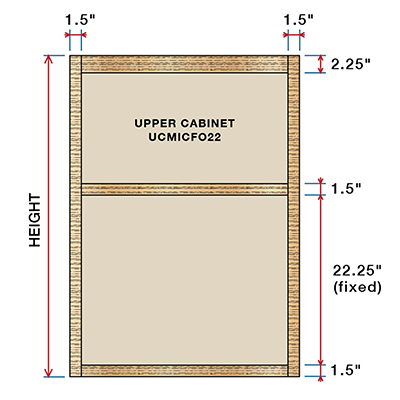 The 22 Inch opening upper cabinet is a great match for any of our custom lower or tall cabinets. This cabinet is a great option for built-in microwave ovens and is still versatile with up to two adjustable shelves. Our ready to assemble custom cabinet boxes arrive with the intereior finished with PureBond formardehyde-free technology.